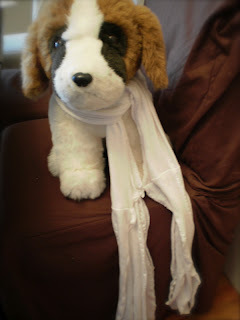 Here's another tshirt scarf idea! 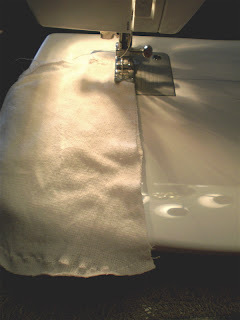 It's almost as easy as the first one, but there is a little more sewing involved. 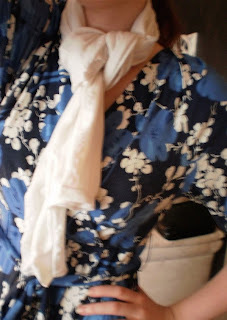 This one did not turn out exactly as planned, because of the loosely woven fabric, but with a nice, tight jersey it would be so pretty! I thought I would throw the idea out there, anyway! *Don't worry about your strips being exactly the same width or length, it all looks good in the end! 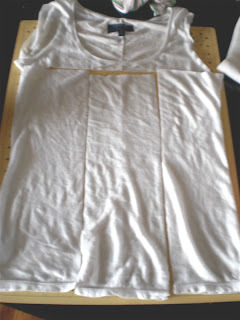 2) Sew a strait (ish) line down both sides of each strip. 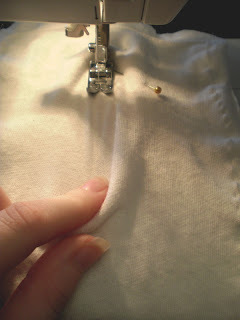 As you sew, stretch the fabric in front of the presser foot so that it ruffles a little bit. 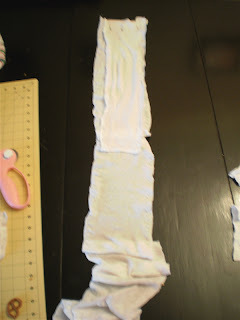 3) Lay all of your strips out, and pin the ends together to make 2 long scarves. 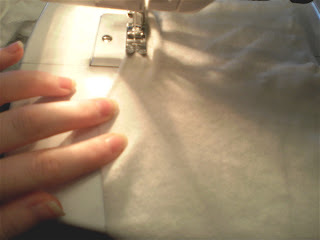 4) Sew all the seams that you've pinned. 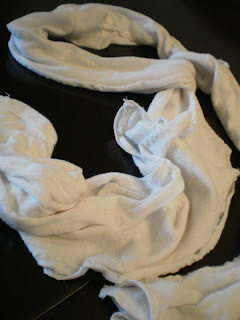 5) Then lay the two scarves on top of each other, wrong sides together, and pin. 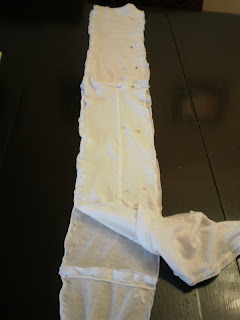 6) Sew them together with one long strait stitch, stretching the fabric as you go again. And you're done! Pretty easy! If you click this picture, you can see the detail a little better. My picture-taking skills need a little work! 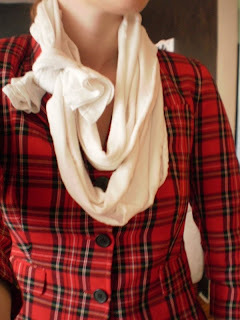 Cute and simple! Thanks for the tutorial!